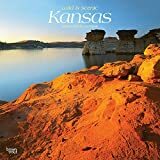 Fertile plains and amazing wind-carved rocks are only part of what makes Kansas a beautiful state. Kansas has a subtle beauty enhanced by a relaxed pace of life. 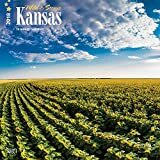 Glorious farmland, open plains, gently rolling hills, thickly wooded river basins, and elegant grasslands create the peaceful and picturesque landscape of the Sunflower State. 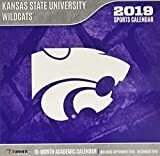 Enjoy the unique beauty of Kansas all year long with this superbly photographed square wall calendar. 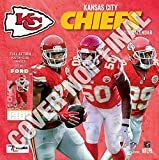 Made for passionate football fans, this team wall calendar includes poster-sized action shots of your favorite players from the Kansas City Chiefs every month! Each month also includes professional athlete bios and new graphics featuring the Chiefs team colors and logos. 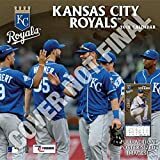 Made with exceptional quality, the 12x12 calendar also includes bonus pages that feature Sept. - Dec. 2018 and the past Super Bowl results! Known for its mouthwatering barbecue, Kansas City also offers a feast for the eyes. The city has more fountains than any other city except Rome, and its boulevards and parks make it particularly pleasing. 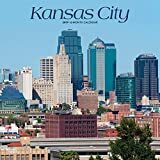 Featuring a variety of landmarks and locales, this square wall calendar takes you on a visual tour of KC.